Jane Riddle is a retired speech pathologist who learned to cross stitch 38 years ago. "It is a very relaxing hobby, and I have enjoyed sharing stitched samplers and pictures with family and friends. The beauty of stitchery for me is that the work can be personalized. It gives me real joy to see my stitchery on the walls of friend's homes. Counted cross stitch is an orderly craft and it is most satisfying to watch a picture take shape on the cloth." The sequined and beaded ornaments that Jane Riddle makes were inspired by the five years she spent living in Doha, Qatar. 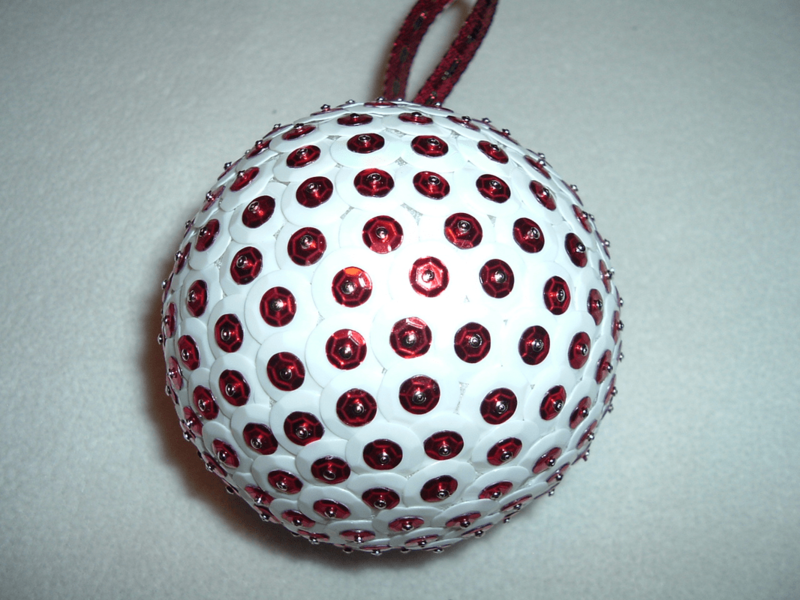 The ornaments for sale in the stores there were made in simple, but beautiful patterns of beads and small stones. She brought many of them home when she returned and started designing her own style of ornaments five years ago. 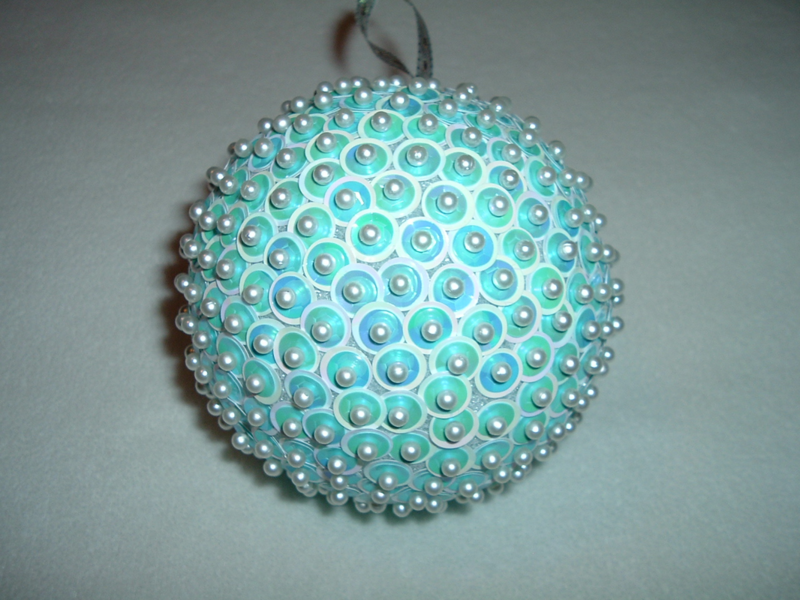 Along with the sequins and beads in Christmas colors, she makes ornaments with punched paper flowers, and in Easter egg shapes for spring decorations.